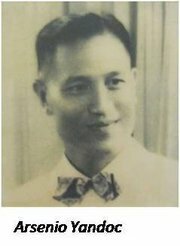 On November 21, 1950, a pioneering group of 26 civic-minded men banded together to form the Baguio Lions Club. It was one of the first Lions Clubs founded in the Philippines, and the first Lions Club located north of Manila. 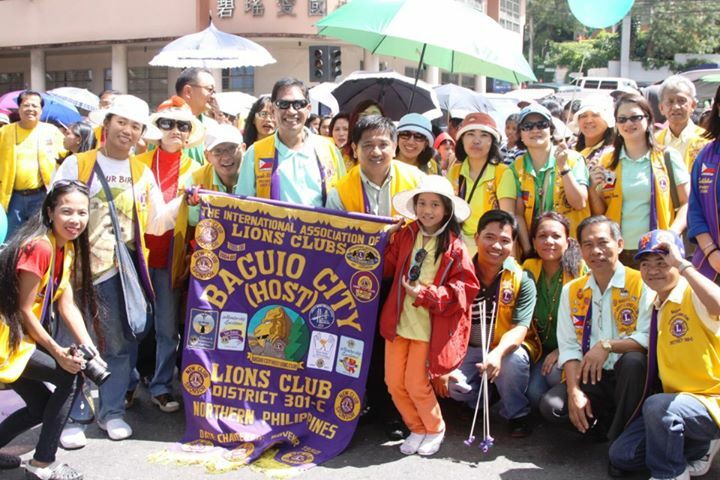 Led by Charter President Arsenio Yandoc, the Baguio Lions set about their task of spreading Lionism in the area, meeting the needs of local communities while at the same time expanding its membership, recruiting noteworthy individuals from diverse fields. Tradesmen, lawyers, farmers, educators, engineers, government agents, military men and priests, among others, shared the common purpose of serving their fellow men and women. The 1960’s was a busy decade for the Baguio Lions. Vigorous recruitment drives broadened its membership. 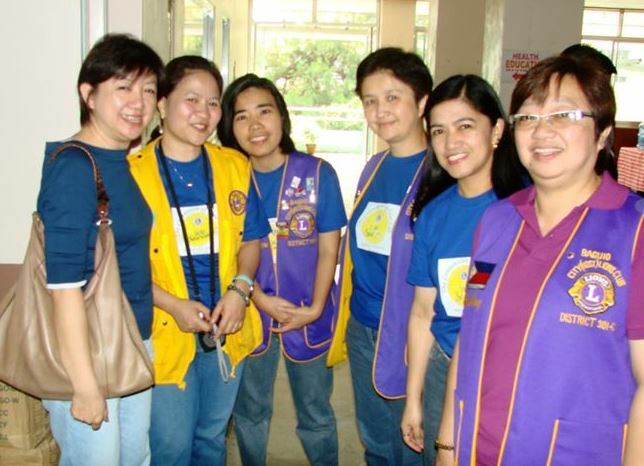 And as the ranks of Baguio Lions Club grew, so did the scope of its projects. On one hand were the customary activities of raising funds for organizations like the Northern Luzon Association for the Blind and Philippine National Red Cross Baguio Chapter, making regular donations to the Baguio Police Department and providing materials to schools. On the other was an earnest endeavor to make a mark – literally, in the City of Baguio. The Baguio Lions Club embarked on a string of building projects that would benefit thousands of Baguio residents and visitors alike. 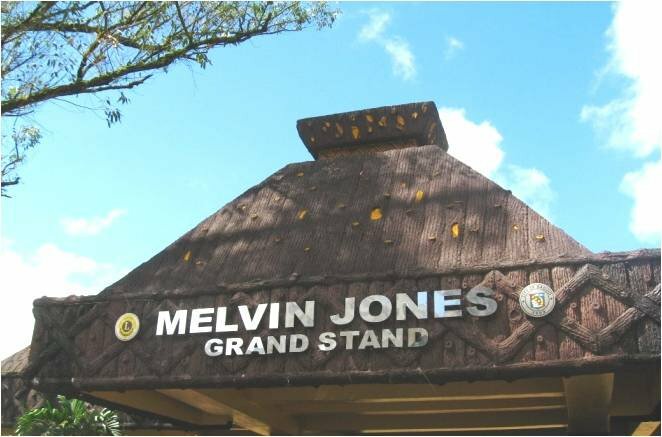 One ambitious project was the construction of the Melvin Jones Memorial Grandstand at Burnham Park, which served as a site for concerts and other public gatherings. The original framework was replaced by the current Grand Stand in 1980 by the Philippine Tourism Authority. Other utilitarian structures were built around the city: Pedestrian waiting sheds along Harrison Road, Baguio General Hospital and Aurora Hill; Police outposts at Kennon Road, Lucban, Governor Pack Road and Mines View Park; Flagpoles at the Burnham Athletic Bowl, the Philippine Military Academy and at Loakan Airport. In LY 1965-1966, the Baguio Lions Club also funded the paneling and flooring of the Baguio General Hospital Nursery, and put up a public clinic at Mines View Park. The construction projects did not end as the decade concluded. With the assistance of its sister clubs in Japan, the Lions Club of Baguio was able to build the Baguio Lions Clubhouse in Governor Pack Road, inaugurated on June 30, 1973, and the Tower of Peace, unveiled to the public earlier in March that same year. 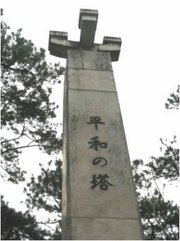 The Baguio Lions Club was also actively involved in the erection of the Baguio War Memorial Monument, built in honor of those who sacrificed their lives in World War II. This was a joint pursuit with the War Memorial Service Association based in Japan. 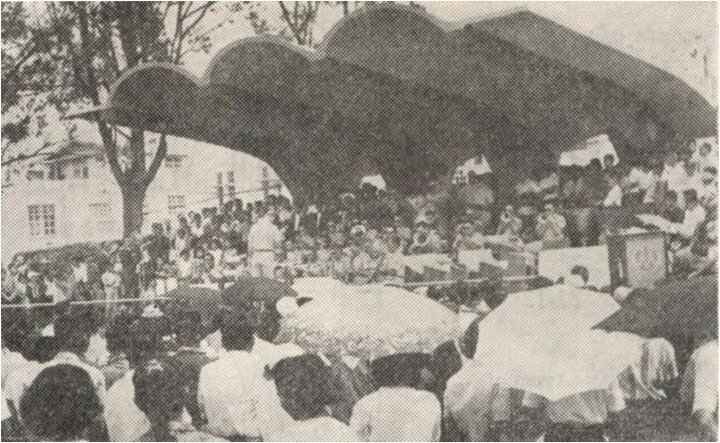 A parallel project, a public park symbolizing Filipino-Japanese Friendship and World Peace, was also opened to the public on the same day, February 11, 1973. The monument and the Friendship Garden are now under the guardianship of Baguio Pines City Lions Club. 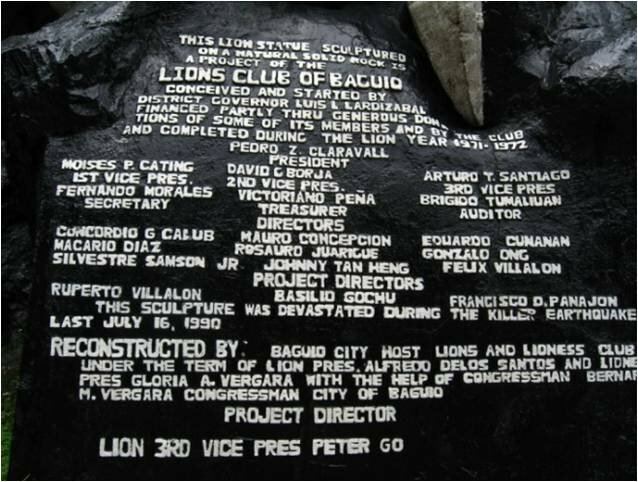 However, the one building project that would tremendously raise the profile of the Baguio Lions Club was the crafting of the 40-foot Lion’s Head along Kennon Road. Vast amounts of man hours were spent in clearing operations and in the ground work, while the creativity of woodcarver Reynaldo Lopez Nanyac gave form to the mighty figure that would become, for thousands of visitors, the face of the Summer Capital of the Philippines. 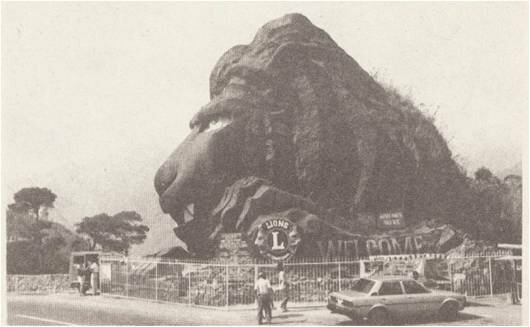 The Lion’s Head was inaugurated in 1972. In recognition of the Lions Club of Baguio’s many contributions to the city, the City Council passed Resolution 155-73 on June 23, 1973, commending the club for its activities in helping to improve the image of the city and the welfare of its residents. 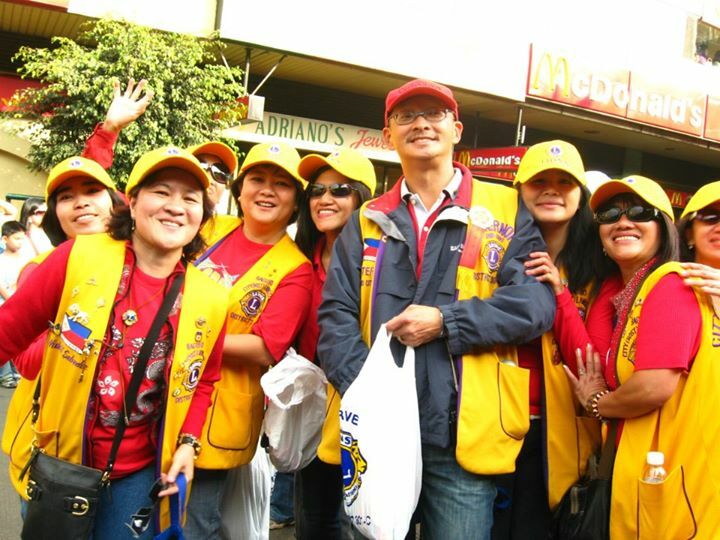 The quality of members of the Lions Club of Baguio has always been the key to the organization’s success. The meeting of the minds from various backgrounds, the pooling of resources, and the hard work and dedication displayed by these members all contributed to the effectiveness of the Lions Club of Baguio. 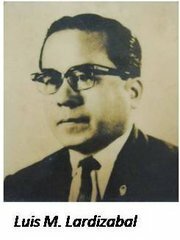 The club has produced eight District Governors thus far – Luis L. Lardizabal (1969-1970), Robert John R. Webber (1971-1972), Basilio Gochu (1977-1978), Bernardo M. Vergara (1990-1991), Peter Go (1998-1999), Dennis Sy (1999-2000), Mariano Ang (2001-2002), and Elmer O. Datuin (2009-2010). 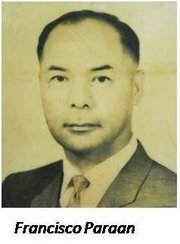 There are fifteen Melvin Jones Fellows: PDG Bernardo M. Vergara, PDG Dennis Sy, PDG Mariano Ang, PDG Elmer O. Datuin, PP Bernard Balatian, PP Peter Ng, PP Eugenio Fernandez, PP Restituto Ayson, PP Ruben del Rosario, PP Charlie Torres, PP Modesto Imayaho, Manuel Go, Mauricio Domogan, Jamela Carina Marie Acoba and Daisy Chan. The club is also proud to count among its active members, three-time Progressive Melvin Jones Fellow, PDG Peter Go and Progressive MJF PP Avelina Jackie Acoba-Ver. The Melvin Jones Fellowship is LCIF’s highest form of honor a Lion can receive in recognition of his or her dedication to humanitarian service. 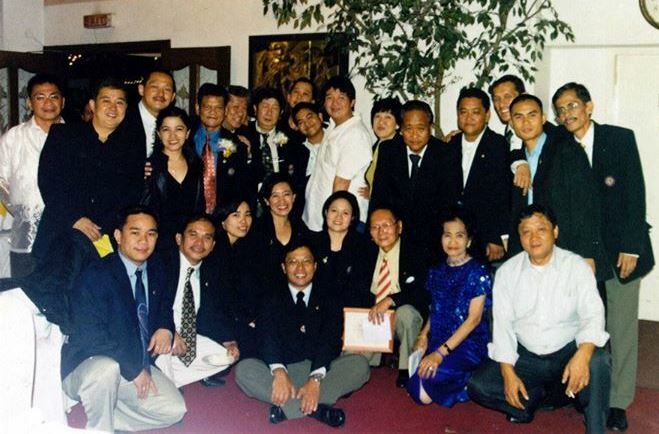 In 1976, some members broke away to form the Baguio Pines City Lions Club. 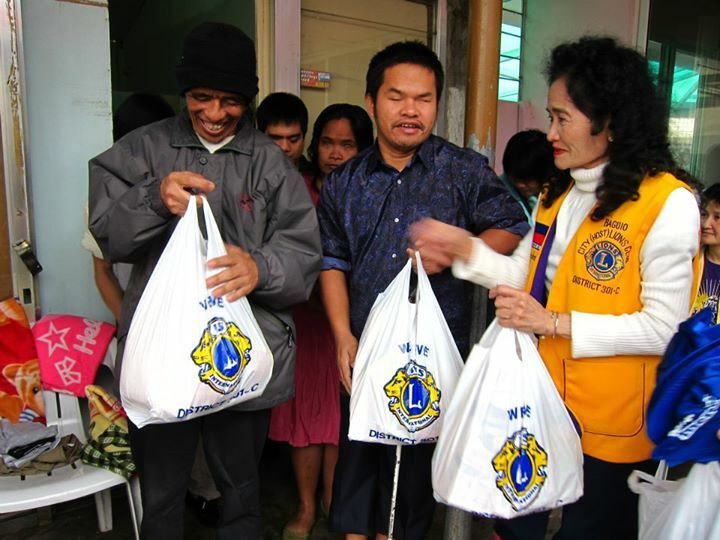 Other Lions Clubs will be established in Baguio City over the years. There are currently 10 Lions Clubs in the city. 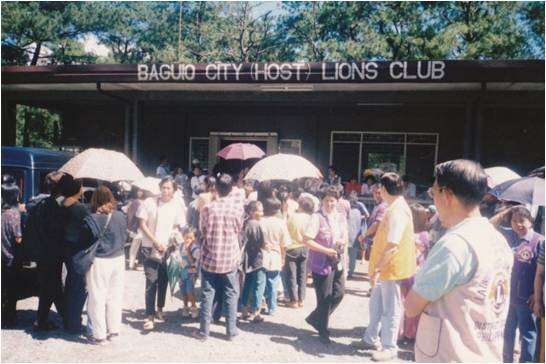 To distinguish it as the pioneering Lions Club in Baguio, the Baguio Lions Club was renamed the Baguio City (Host) Lions Club. Sponsored by its mother club the Manila (Host) Lions Club, Baguio City (Host) Lions Club also went on to sponsor a few Lions Clubs. 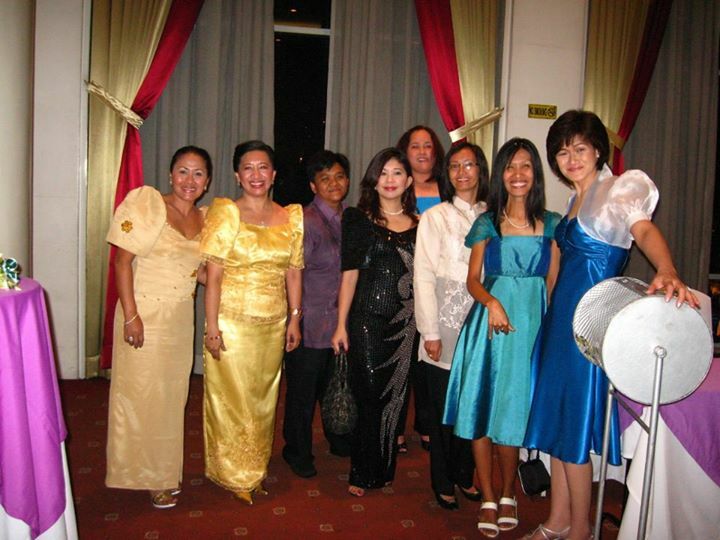 Some of these are Baguio Magnolia Lions Club and Dagupan Guilon Guilon Lions Club. BCHLC also has very recently just reactivated the Baguio City (Host) Leo Club. Female members were welcomed into its fold in 1992. Lion Avelina Jackie Acoba Ver, already an accomplished Lioness before joining BCHLC, holds the distinction of being the only active female pioneer still with the organization. With a growing membership that included many women and people from an even broader range of career backgrounds, the organization has expanded its service programs to include optometric tests, cataract screenings and surgeries, medical and dental outreach, oral health lectures, feeding programs, and relief distribution. 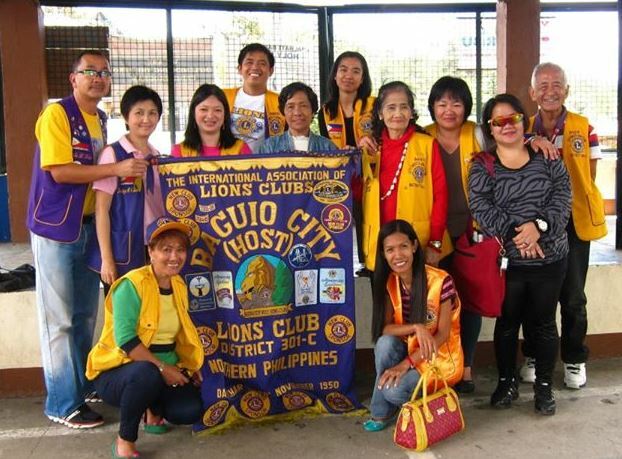 Baguio City (Host) Lions Club has established meaningful ties with its sister clubs, and has been fortunate enough to be the recipient of their goodwill. It has also embarked on several joint undertakings on vision care and the environment, among others. 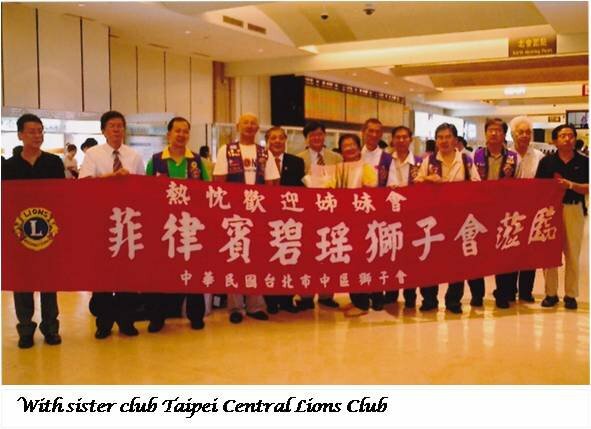 The sister clubs of BCHLC are as follows: Taipei Central Lions Club (Taipei, Taiwan, D300-A2), Wakkanai Lions Club (Hokkaido, Japan, D331-B), Moon Soo Lions Club (Ulsan City, Republic of Korea, D335-D), Kumamoto Magna Lions Club (Kumamoto, Japan, D337-E), Manila Chinatown Lions Club (Manila, Philippines, D301-A1), East Kaua’i Lions Club (Lihu’e, Hawai’I, USA, D50) and Anjoong Lions Club (Kyonggi-Do Suwon-Si Paldal-Ku Inkye-Dong, Republic of Korea, D354-B). 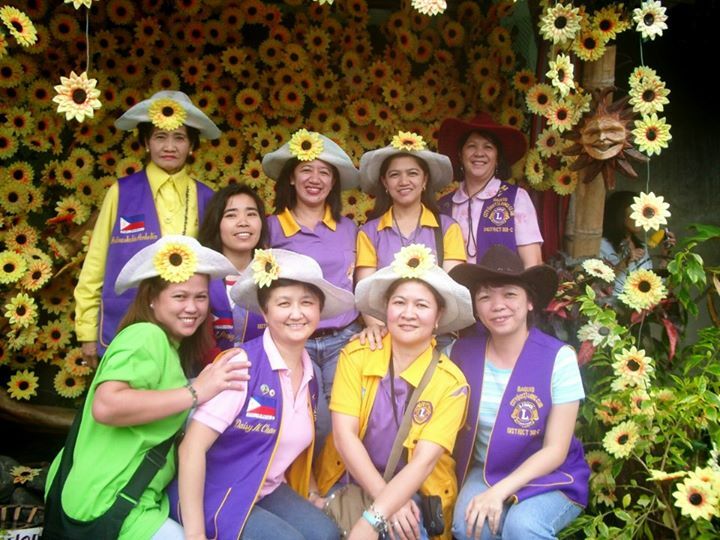 The international exposure of Baguio City (Host) Lions Club is not limited to sisterhood bonds. 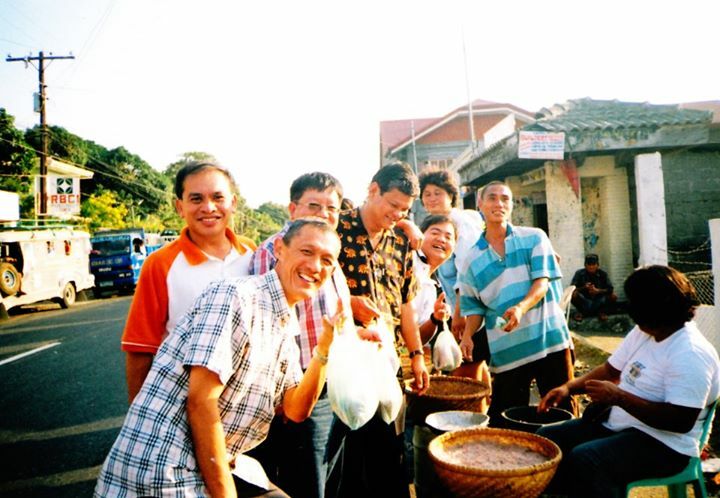 Its members have been representing the club in Multiple District Conventions, OSEAL (Orient and Southeast Asia Lions) Forums and International Conventions. The club has also garnered international awards, meriting honorable mentions in Newsletter (Bulletin) Contests and International Photography Contests. BCHLC was also cited for Excellence in Membership Growth. At present, adhering to the standards set by Lions Clubs International, there is a renewed focus on several adopted service programs on health and wellness, environmental services and youth projects. There is of course, the Baguio City Host Lions’ mission of initiating sight-related projects as a response to Helen Keller’s challenge for Lions to become knights of the blind. Vision tests and distribution of free eyeglasses are a regular part of outreach missions. In addition, the BCHLC has also carried out hearing screenings, ear care lectures and diabetes screenings. For community and environmental services, the organization has been involved in reforestation activities and clean-up drives. The Baguio City (Host) Lions Club has also sponsored poster-making and music competitions among the youth to cultivate the artistic skills of young people. It is to be noted that many of the club’s accomplishments would not have been possible without the assistance provided by its partners in Lionism, for which the members are very grateful. In its remarkable sixty years of being, it is not surprising to behold the legacy of Lionism being passed on from father to son, from mother to daughter; the common goal of helping the less privileged shared by friends and colleagues. The spirit of volunteerism, without thought of personal gain, is very much alive. Baguio City (Host) Lions Club is now on its 64th year, and its members look back on the club’s long tradition of service to the people, and look forward to making a difference in the lives of many more.